They had won 5 straight scudetti, appeared in the Champions league final a year beforehand yet lost their rare gem to a premier league club who last wontheir domestic championship 4 years ago. That was the contrast between Juventus and Manchester United and still the Old Lady lost a potential midfielder of his generation to the Red Devils. It is the reality we live. Money keeps talking while BS has no choice but to take a hike. The Bianconeri, on the back of the 2006 Calciopoli scandal that swept down the lower tiers of Italian football had like a phoenix rise from its ashes and soared its way back to where it belongs in the Italian football sphere. Conquering Italy meant they had the chance to prove themselves worthy of standing side by side with other giants of Spain, England and Germany. Unfortunately, Juve’s finances were nowhere near those of the heavyweights. Luckily for the Serie A champions, the people in charge of their recruitment had a good head on their shoulders and within a short time, the evidence of the smart transfer plan, drawn and executed, began to take shapeand produce results. The plan was to turn the rest of their domestic league to a supply chain of talents while bringing in players who have tasted what it’s like to be in a team whose fans see winning the league as normality while conquering Europe a priority into their fold. 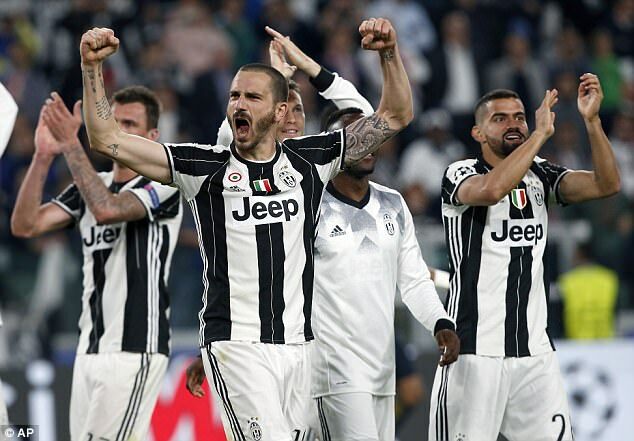 Miralem Pjanic and Gonzalo Higuain joined from Roma and Napoli respectively.Sami Khedira joined form Real Madrid while Mario Mandzukic got poached from Bayern through Athletico. Unfortunately, Real Madrid, like Barcelona did two years ago, denied them the reality of their dream, making them know just how far they are from being with the superpowers they’ve come so far to meet.